In-depth documentary investigation into the story of a popular music that is often said to be made to be heard, but not listened to. The film looks at easy listening's architects and practitioners, its dangers and delights, and the mark it has left on modern life. From its emergence in the 50s to its heyday in the 60s, through its survival in the 70s and 80s and its revival in the 90s and beyond, the film traces the hidden history of a music that has reflected society every bit as much as pop and rock - just in a more relaxed way. 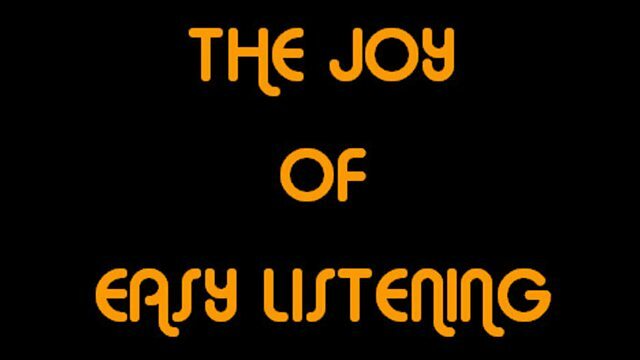 Invented at the dawn of rock 'n' roll, easy listening has shadowed pop music and the emerging teenage market since the mid-50s. It is a genre that equally soundtracks our modern age, but perhaps for a rather more 'mature' generation and therefore with its own distinct purpose and aesthetic. Contributors include Richard Carpenter, Herb Alpert, Richard Clayderman, Engelbert Humperdinck, Jimmy Webb, Mike Flowers, James Last and others.